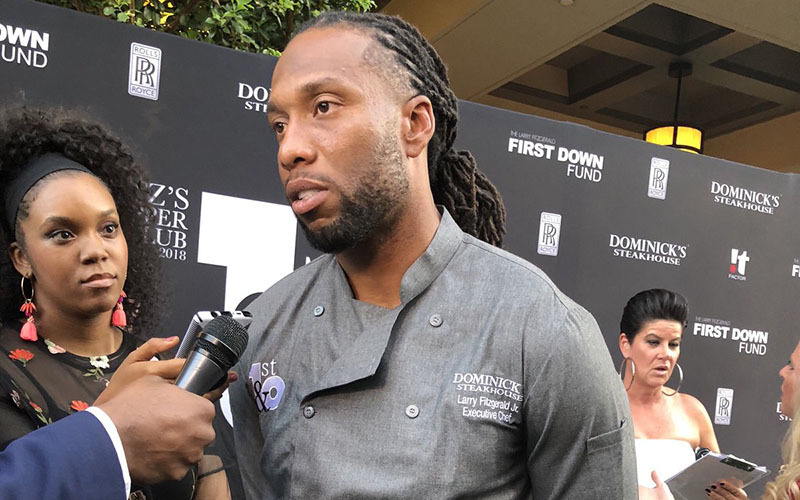 SCOTTSDALE – An unlikely friendship developed between Larry Fitzgerald and Sen. John McCain over the past 15 years. Decades separated the two in age, but the Cardinals receiver and Republican senator found common ground and mutual respect. Both shared an interest in sports, and both called Arizona home, but their relationship extended beyond the scope of football. McCain, 81, died Saturday of glioblastoma, a rare, aggressive and deadly form of brain cancer. “You know, I was heartbroken not only for myself and his family, but for our nation,” Fitzgerald said. The NFL star is scheduled to speak at McCain’s memorial service Thursday at North Phoenix Baptist Church, and is representing the Arizona sports community along with several other local athletes. Former Arizona Coyote forward Shane Doan and former Arizona Diamondbacks outfielder Luis Gonzalez will serve as pallbearers. Fitzgerald spoke at his annual charity event, Fitz’s Supper Club, hosted by Dominick’s Steakhouse in Scottsdale, about his relationship with McCain and what it meant to him. McCain often could be found in the stands at sporting events in Phoenix. 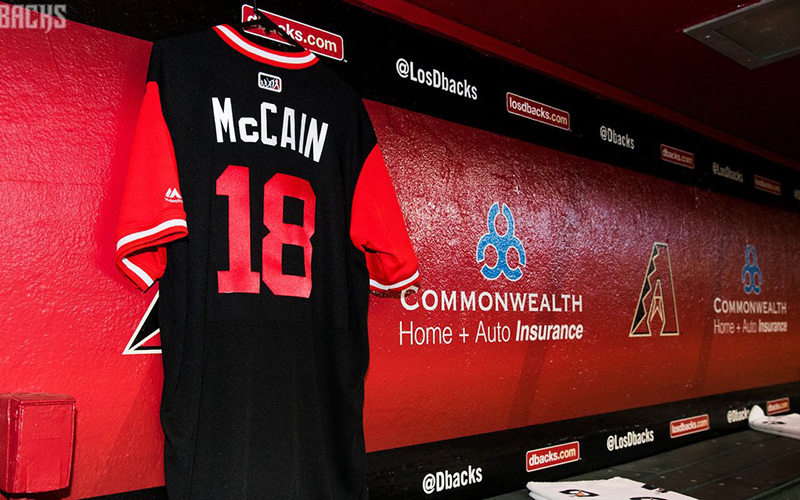 As a big fan of the Diamondbacks, McCain attended many games, including the team’s 2001 World Series championship run. He also attended the team’s expansion draft in 1997. McCain provided narration for the Phoenix Suns’ 50th anniversary video last season, and attended Cardinals games as well. Fitzgerald rose to prominence in Arizona as a member of the Cardinals, and is now entering his 15th season with the team, 11 of which he made the Pro Bowl. He uses his visibility in the community to raise money for several charity organizations, including his First Down Fund. He also hosts an annual celebrity softball game to raise money for First Down Fund.